If fiddly cables or petrol fumes make mowing a chore, a cordless mower might be just what you’re looking for. 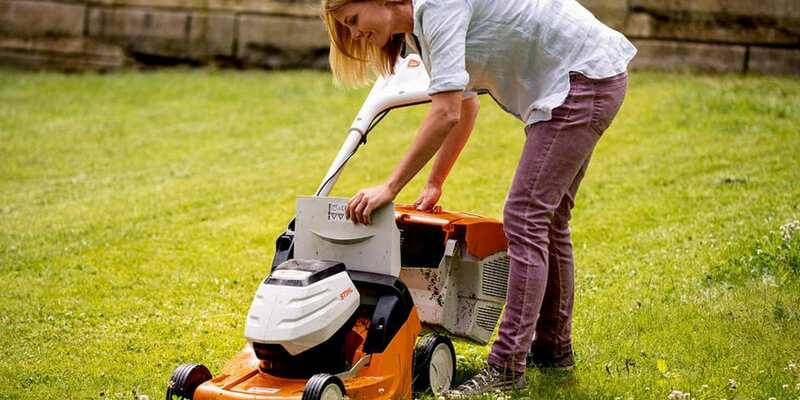 Stihl, who used to produce mowers under the Viking brand name, offer six cordless mowers with varying cutting widths to suit different lawn sizes. Which? Gardening recently tested the RMA443 C and the RMA448 TC models, which are designed to mow medium and large sized gardens, respectively. They both use Stihl’s PRO cordless system which means the batteries can be used with other power tools from the brand, like hedge trimmers and leaf blowers. If Stihl is your brand of choice for cordless power tools, this could mean a decent saving on batteries and charging docks. Read on to find out whether these battery-powered mowers are worth considering. If you have a medium-sized lawn that’s between 50 sq.m and 150 sq.m, you might want to consider the Stihl RMA443 C, which costs £400. It has some attractive specifications including a 43cm cutting width, a 55-litre grass collection box and, at only 21kg, it’s fairly lightweight so won’t be too difficult to move around. Its cutting height ranges from 25mm to 75mm, so you can set it to be high in the spring when grass is longer and gradually decrease it for a neat, short lawn in summer. The handle can be adjusted from 98cm to 106cm to suit different heights, which should help make it comfortable to use. The mower takes one lithium battery, but there is space to store a spare, so you can easily swap over if the first one runs out of charge. 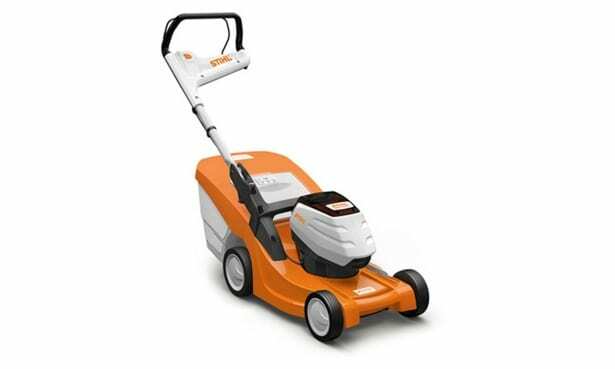 It features an eco-mode, which Stihl claims adjusts the motor power according to the condition of the grass, to help the battery charge last longer. It’s worth noting that it doesn’t come with a battery and charger, so you’ll have to buy these separately. We tested it using a 36v AP300 battery and an AL300 charger, which cost around an extra £260. Buying a spare battery will push the price up even more. To find out whether this mower is worth investing in, read our full cordless mower review. The Stihl RMA448 TC has a similar spec to the RMA443 C, but there are a few key differences which push the price up to £475. The mower’s bigger 46cm cutting width will cover ground more quickly, which makes it suitable for cutting a large lawn greater than 150 sq m.
At 24kg, it is slightly heavier than the RMA443 C, but the addition of a self-propulsion function means it should still be fairly easy to push around. See our full review of this cordless mower to discover how if fared in our rigorous tests. Is a cordless lawn mower right for me? Cordless lawnmowers give you the flexibility to mow wherever you want, without being restricted by the length of a cable, and they’re usually lighter than petrol mowers. They’re easy to start and unlike with petrol mowers, you won’t have to deal with strong smelling fumes. However, battery running times vary between models, so it’s worth doing your research to make sure you don’t end up opting for one that leaves you with a half-cut lawn. It’s also important to consider the battery charging time. Some mowers charge in as little as an hour, but others can leave you waiting around for more than six hours before they’re charged up and ready to use. Which? Gardening has tested more than 25 cordless mowers ranging in price from less than £150 to more than £600. Some have aced our cutting tests, earning Best Buys, while others have failed to impress. Check out our cordless mower reviews to make sure you don’t end up choosing one that leaves you with a messy lawn.